Still shocked by the VIX surging over 50? Well, here's some good news: it could be worse, much worse. 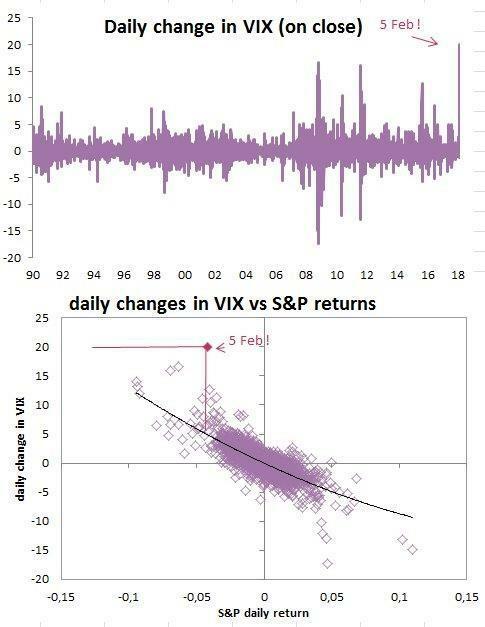 In fact, as Natixis' William Imbrogno calculates this morning, the VIX spike - the largest in history, and still rising - should correspond to a 15% market crash. The VIX spike was the largest in history and should correspond to a 15% market move, the drop of 4% on the SPX should correspond to an increase in the VIX of 5 points. Showing the asymmetrical impact of the short squeeze on volatility given the dominance of Algo's, vol control, CTA's and short volatility strategies. Perhaps this is a strong case to reduce the reliance on systematic automated strategies in favour of active management? Or then again, perhaps it just shows that when the market is going up, nobody cares how or why - whether it's due to the Fed, algos, quants, machines or Joe Sixpack. However, when it all goes terribly wrong, the fingerpointing immediately begins, with the first culprit - naturally - the robots, algos and quants. After all one must defend, distract and scapegoat away from that ultimate bubble blower, the Fed, at all costs.